»Health & Fitness»Travelling for Summer? How to avoid mosquito bites! 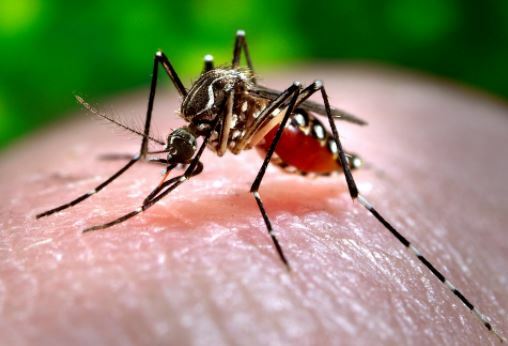 Enjoy the Summer and stay healthy by avoiding mosquitoes bites, with help from the Tropical Medical Bureau (TMB). Summer is often a time when we jet off across the globe for some much-needed relaxation and better weather. However, it also brings out some uninvited guests – mosquitoes! These biting insects not only inflict multiple itchy bites upon us, but they can also spread a range of diseases such as malaria, dengue fever and the Zika virus. Insect repellent – This is one of the most effective solutions. Apply TMB insect repellent frequently to the pressure points on your body to avoid being bitten. For example apply to your ankles, feet, and knees. Bug Bands – TMB Bug Bands can be worn around ankles and wrists. The bands contain micro encapsulated Saltidin which is as effective as DEET. Each pack will provide protection for 100 hours. These bands are also suitable for children aged 2+. Mosquito Net – You can’t depend on your accommodation to provide a net for your bed. Avoid getting bitten in your sleep by packing your own Mosquito Net. Mosqui-Go Duo – The plug-in Mosqui-Go Duo is a simple liquid mosquito killer that gets to work the moment you slot it into the plug socket. Vaccinations – It is important to get all the recommended vaccinations for the country you are visiting. This may not stop the mosquitoes from biting you but it will help protect you from the harmful diseases they spread. All of these travel products are available to purchase on Travelshop.ie. To book an appointment, please contact Tropical Medical Bureau at 1850 487674 or visit www.tmb.ie.